If you're in the market for a convertible 2-in-1 laptop, Lenovo has some of the best products on the market. At Mobile World Congress 2017, the company is introducing three new laptops to their Yoga line-up, bringing decent hardware to more affordable price points. Both the 15- and 13-inch variants come with either 1080p or 4K displays, depending on how much you want to spend. Both pack Thunderbolt 3 ports that double as charging ports, alongside fingerprint sensors for Windows Hello, and full Windows Ink stylus support through an optional pen accessory. And of course, all Yoga models feature a display that can be flipped around 360-degrees to convert it from a laptop to tablet. As for the 13-inch's hardware, you'll be getting basic Kaby Lake U-series dual-core processors and no dedicated graphics. The battery is a little on the small side, at just 48 Wh, but Lenovo claims this is good for 8 hours of life in the 1080p model, and 7 hours for the 4K model. The entire unit clocks in at 14.3mm thick and 1.3 kg heavy. You'll be able to purchase the Yoga 720 in April, with the 13-inch model starting at $860, and the 15-inch starting at $1,100. 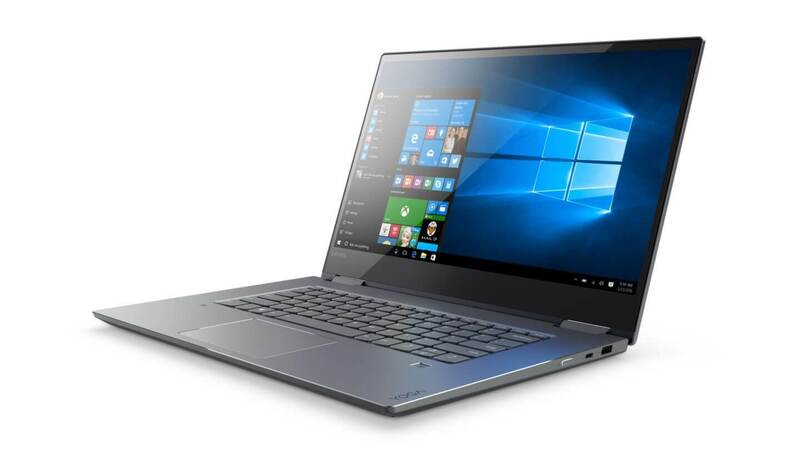 For those on a tighter budget, Lenovo has the Yoga 520. It's a 14-inch convertible with a 1366x768 (yuck) or 1080p display, dual-core Kaby Lake processors, Nvidia GeForce 940MX graphics, space for both an SSD and HDD, and up to 16 GB of RAM. You'll even get a fingerprint reader, stylus support, and a USB-C port. The Lenovo Yoga 520 will launch in May, starting at $800.